The high prevalence of hepatitis B and C in the Mongolian population is imputed not least to inadequate reprocessing of the medical devices used. sterilizer were investigated with biological indicators. 8 % of the autoclaves and two of the three EO sterilizers showed unsatisfactory performance. The H2O2 and FO sterilizers tested inactivated the biological indicators. Of the autoclaves, the older Russian models produced better results than the modern sterilizers from China and Korea. That may be due to the long experience with the old Russian appliances, which have no pre-vacuum, unlike with the more complex modern sterilizers. Thermologgers were used for the first time (in Mongolia) for measurement of physical parameters such as pressure, holding time and temperature. The findings indicate that inadequate reprocessing of medical devices may impact the high colonization rates with hepatitis viruses in Mongolia. 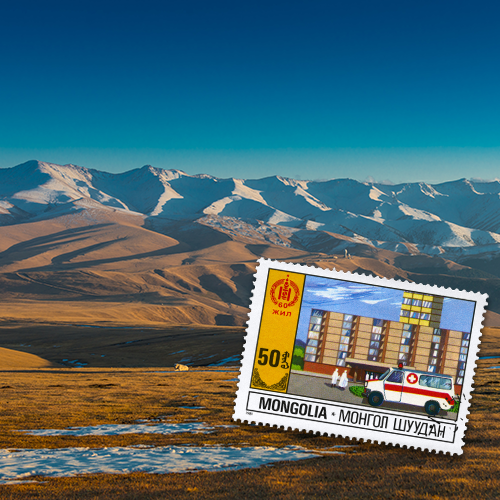 Mongolia is the second largest landlocked country on earth and is situated between Russia and China. Half of the three million inhabitants live in the capital city Ulaanbaatar. In total, in Ulaanbaatar there are 42 public hospitals, 280 dental practices and more than 1,500 private clinics. The clinics and hospitals have between 10 and 720 beds. Mongolia still experiences diseases that are now rare, or no longer occur, in Europe, e.g. plague, anthrax and brucellosis. Tuberculosis, which continues to spread, is a major problem. However, the real challenge is the high prevalence of hepatitis B and C viruses estimated to be 15–25 % [1, 2, and 3]. A screening project carried out in 2017 among 230,000 of Ulaanbaatar inhabitants revealed that 17.5 % of the screened population were carriers of hepatitis B and/ or C viruses . Accordingly, primary liver cancer is the leading cause of death among cancer diseases . It is thought that 77 % of Mongolians will at some time in their life have suffered from hepatitis B infection . The problem is compounded by the high alcohol consumption, in particular of vodka [7, 2, 8]. Blood products were not properly tested in the past; this is still the case in rural areas. Traditional medicine (e.g. bloodletting), acupuncture, tattooing. Injections were administered in the past with a glass syringe, which had been (just) boiled in water, and used for several persons. Pregnancy and birth, possibly with use of unsterile instruments. While since 1991 children have been vaccinated against hepatitis B, it is thought that early on this was often done with expired or no longer effective vaccines (e.g. vaccines becoming frozen during transportation in rural areas in winter). Sexual transmission may also play a role since especially at present the sexually transmitted disease rate is increasing [11, 10]. There is no doubt that inadequate reprocessing of medical instruments also plays a pivotal role ; poor reprocessing practices are imputed, in particular, to rural dentists. But even in the large public hospitals in Ulaanbaatar manual reprocessing is the current standard, the majority of autoclaves are decades old, instrument containers have holes that have to be plugged after sterilization . This was the reason for investigating the quality of sterilization. To that effect, for the purpose of the study presented here the sterilization processes used to reprocess medical instruments in a number of hospitals and other healthcare institutions in Ulaanbaatar were investigated. Ulaanbaatar hospitals usually use autoclaves. Very few additionally have plasma (H2O2), formaldehyde (FO) or ethylene oxide (EO) sterilizers for reprocessing heat-sensitive instruments. Based on the Mongolian Infection Protection Act, sterilizers must be routinely tested with both chemical and biological indicators. In reality most autoclaves are tested only with chemical indicators in the form of treatment indicators, and this is generally done on a daily basis. Routine technical inspection of the sterilizers is not performed. However, the hospitals are obliged to have the autoclave pressure gauges tested once annually by the standardization authorities. The aim of this study was to test with biological indicators sterilizers in Ulaanbaatar which are used predominantly for reprocessing medical instruments. In addition, temperature and pressure measurements were also carried out with thermologgers in a few sterilizers, as a prelude to any further studies. gke Steri-Record FO Geobacillus stearothermophilus. To that end, the biological indicator ampullas were sterilized with the instruments during the daily reprocessing cycles, while placing two to five ampullas at the most unfavourable sites within the autoclaves. Afterwards, the biological indicators were incubated for 24 – 48 hours at 55 – 60 °C or at 37 °C under the conditions recommended by the manufacturer. An unsterilized ampulla was incubated as a positive control. Next, the biological indicator ampullas were evaluated on the basis of a colour change. An EBI-100 temperature/pressure logger from the firm Ebro Electronic GmbH was used to check the pressure, temperature and time course of the sterilization process. To that effect, the data logger was programmed and placed in the autoclaves with the instruments to be sterilized during routine daily cycles. On cycle termination the thermologger data were read out on a laptop using the software program Winlog.med V3.2.